Composed of members originally from eastern France, Strasbourg, and Luxembourg, Goblinz Studio began its adventure into interactive entertainment with a debut opus dubbed Dungeon Rushers, a tactical-RPG based on humor and simple mechanics. From this first experience came the idea of ​​developing Robothorium, circa March 2016. Quentin Lapeyre, game and narrative designer at Goblinz Studio, tells us more. "(Robothorium is) a futuristic, tactical-RPG in which we embody ‘S.A.I.A.,’ a highly developed AI that leads a robotic revolution to free robots from human oppression. 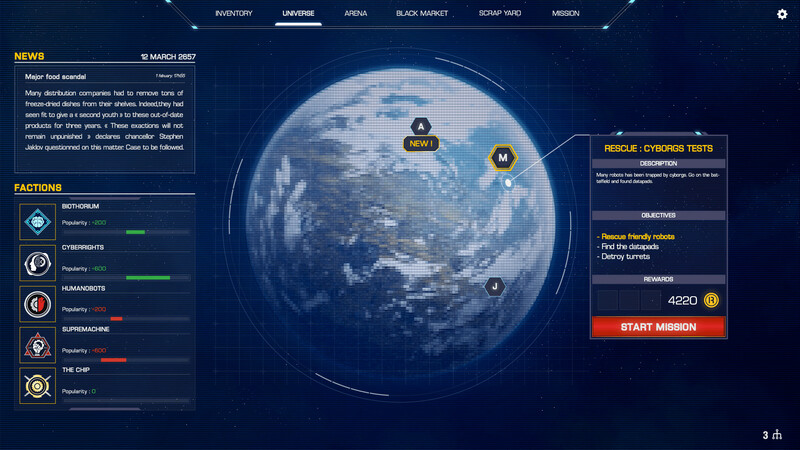 [Gameplay features] an exploration phase, with an interactable environment, and a combat phase that condenses all the elements of the tactical RPG recipes: skill, talent, theorycrafting, stats… (and) yes, there will be skins, craft, and loot." 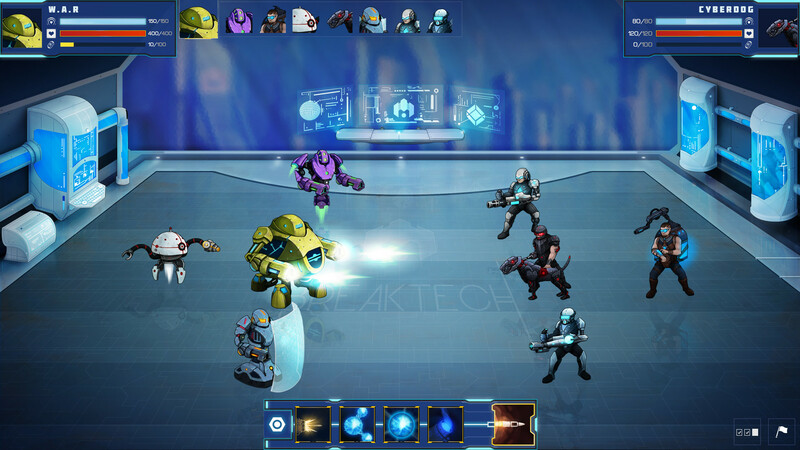 The multiplayer mode is present and main-stage in Robothorium: "Robots are pitted against each other in 5-v-5 robot teams. Each (robot has) eight skills and it is necessary to choose four before each meeting, allowing a certain dynamism for each game played." The usual roles (tank, heal, dps) are also available: "At the very heart of the roles, different types of skills are offered to players," says Quentin. “[The PvP is very present], with a system of rankings, seasons, skins in rewards." All the assets of a good tactical-RPG will be available to players. Goblinz Studio has only one desire — to test the game! "Robothorium will debut on Steam early 2018 — March, at the latest. [It will release] on PC at first, and then on mobile, Xbox One, PS4 and, we hope, on Switch." Finally, early adopters have a chance to be a part of the development community: "[Developers are on a] Discord accessible by buying a key for Alpha and Beta." Big thanks to Quentin Lapeyre and Johann Verbroucht for their time discussing this highly anticipated title of 2018.